Surface has been a long-time coming. 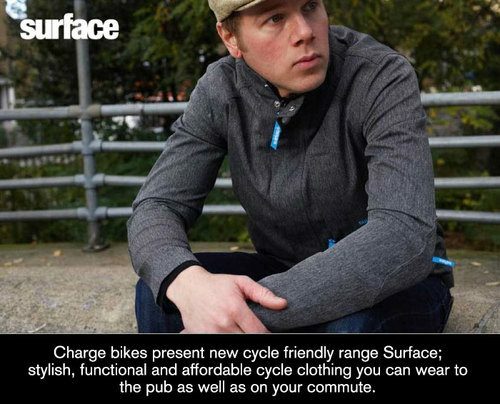 Nick from Charge had the idea a while back to design cycling clothing that didn’t look like cycling wear. The full line has launched and is available through Wiggle, Evans and independent cycling retailers. Check out this season’s offerings below. Want to be warm, dry and comfortable without creating a fuss? These double woven, four way stretch shorts and trousers fit like your favourites but feature the full functionality of sweat wicking, quick drying and shower proof properties. The double woven, four way stretch Snugflex jacket is the softest, cosiest technical hoodie around. The sweat wicking, showerproof fabric will keep you dry and warm and details like its taped seams, internal storm flap, armpit eyelet vents and fitted hooded collar make the Snugflex the best casual riding hoodie out there. 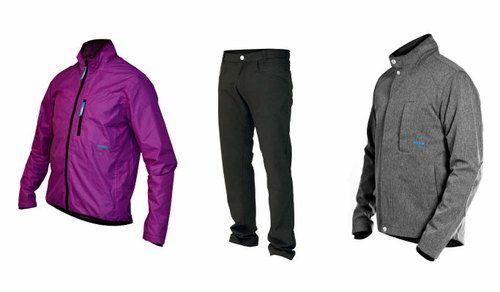 Not only the the most stylish waterproof jacket you’ll ever find for your bike, the Aquaphobic also gives you taped seams, a wicking lining, storm flap, elbow patches and secure chest pockets with i-Port.